This is one of my New Year’s resolutions that I have made and one that I am intending to keep. I blogged about my New Years Resolutions in THIS post and wrote about wanting to be more creative this year and attempt to do something creative at least once a week. I also wrote that I had owned this book for over a year and never really done anything with it, vowing to incorporate this into my creativity. I chose a page at random, just flicking through the book and randomly stopping and the page I chose had instructions to doodle over the top of the page, the text, the margins, everywhere! 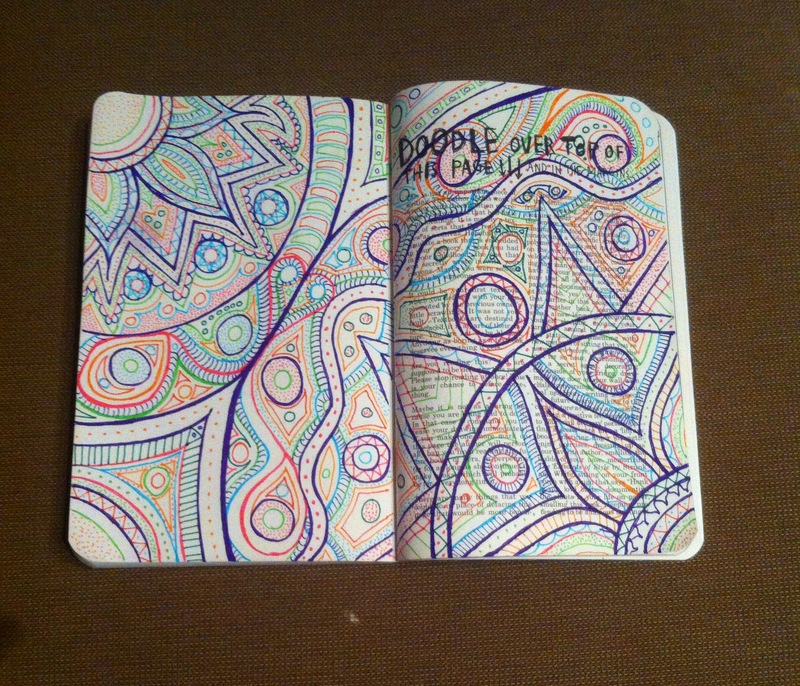 I’m really pleased with the outcome, which took around 6 hours to complete. 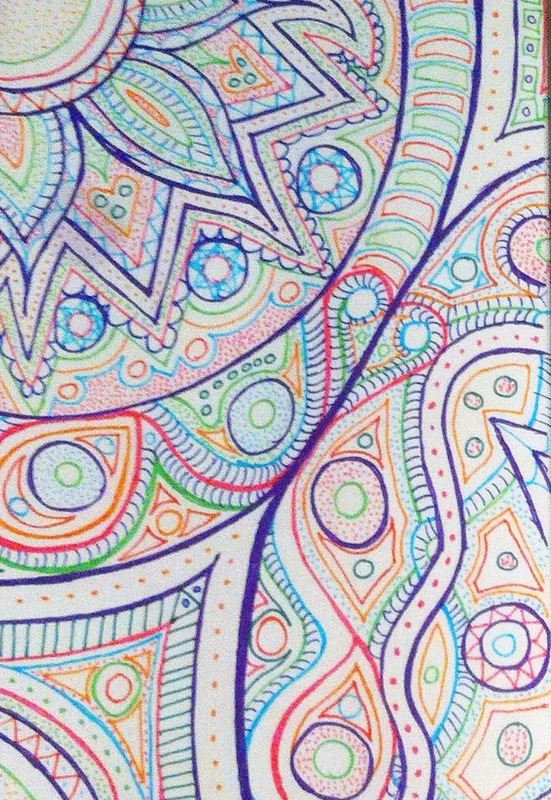 I love the shapes, the mix of colours (I used Staedtler triplus fineliner pens to draw with) and also the mix of textures I managed to create using lines and dots. I’m really enjoying just doing something creative without having a plan and am finding myself thinking about what I could do next, or what I could have done differently, I’m even thinking about purchasing another book so I can work on the same page again but work it all in a different way! 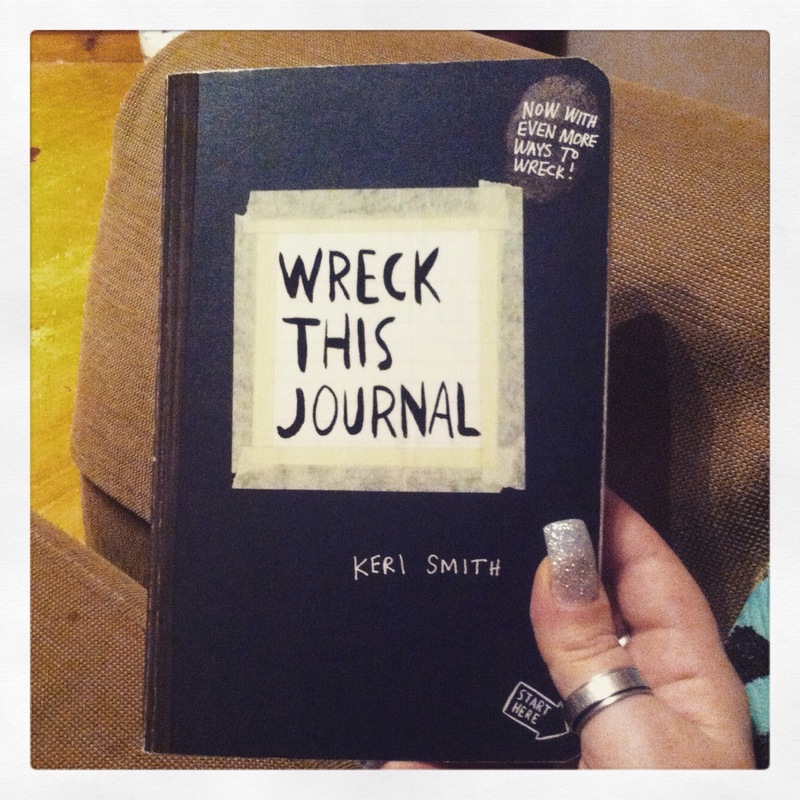 *sigh* – I think I have a ‘Wreck this Journal’ languishing away somewhere that I meant to do… maybe one day I’ll give it a shot! Thank u!!! 🙂 I’m really enjoying the creating! 🙂 you should dig yours out and have a play! I love seeing everyone else’s work!!! Some if the images created are soo good! !